Jazz singers have often relied on the Great American Songbook and professional songwriters’ compositions for their repertoire. Jazz singer-songwriters are less common. 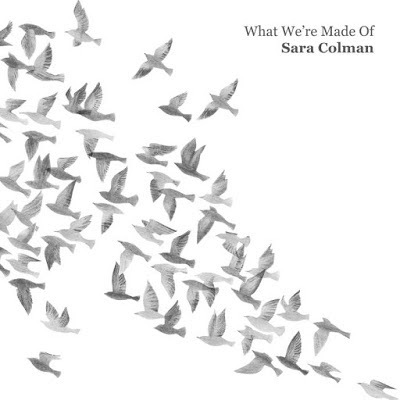 Sara Colman grew up listening to the classic '70s singer-songwriters, and has written some striking songs, saturated with jazz. Two covers pay tribute to her heroes: Joni Mitchell’s All I Want, and Paul Simon’s Still Crazy After All These Years. The first is less folky than the original: a guitar-led Afro-Latin feel (Steve Banks) recalls Lionel Loueke. There’s strong bass work from Ben Markland and a satisfyingly Herbie-ish Fender Rhodes solo from Rebecca Nash. The voice is deep and full-toned, with lots of space for the lyrics to sink in. Paul Simon’s song concludes the album strongly, with Colman’s own gospel-tinged piano, and smoothly-layered live backing vocals from Emilia Martensson and Anthony Marsden. Two contrasting songs by Colman open the album. It Begins slips the vocals in among Delius-like strings (the Carducci String Quartet, playing arrangements by Jonathan Silk, are on several tracks.) Part of the song’s pleasure is the contrast between the languid, impressionistic vocals and Percy Pursglove’s spirited flugel improvisation. The Latin What We’re Made Of seems to melt Nash’s Fender Rhodes and Colman’s voice together. Its Brazilian-style backing vocals and strong lead vocal sent me back to Flora Purim and Sergio Mendes & Brasil ’66, but this song has its own sound. The chorus has been running through my head since I first heard it. Colman has co-written most of the other songs with her fellow musicians. Heartsafe, Open and Be Careful are jointly by Banks, whose baritone guitar is folk-edged, Bert Jansch-like on the first. There are strong overtones of Magazine-era Rickie Lee Jones, with the circling string quartet and unhurried, bluesy vocal. Open has an intriguing melody and steel-string guitar part; like Kevin Eubanks’ work, it has complex rhythms that flow completely naturally, here teased out by subtle strings and backing vocals. Be Careful is underpinned by a delicate drum and bass groove from drummer Jonathan Silk. Colman spent weeks in the recording studio, working on the album with owner Nick Dover. This track has layers of lush sound, and Dover has a writing credit. Echoes and Dreamer have a melancholy feel. Colman studied at, and now teaches at, the Birmingham Conservatoire, and many of the musicians on the album have a close association with Birmingham. The phrase: “There you go” recurs in Colman’s Echoes: both an expression of resignation, and a commentary on the demolition of the old Conservatoire building, paralleling the death of a close musician friend. She sings with an understated emotion which catches you unawares. Dreamer, co-written with Nash, has lovely John Taylor-esque piano, and an extended vocal solo, with an expressive tone that brought Liane Carroll to mind. LINK: Interviews with Sara Colman are HERE and HERE.